From our office windows at the county building, we can see the Eagle Town Park with the man-made, outdoor ice rinks that have become so popular. In December, the thin ice at Avon’s Nottingham Lake pushed the annual Rocky Mountain Pond Hockey Tournament to Eagle, where the temporary rinks are on a field, and Zambonis never fall through the ice. Mark Twain once wrote that climate is what we expect, and weather is what we get. In the high country, we expect winter temperatures cold enough to skate on the ponds, but that’s not what we’re getting. According to a 2015 study by the Aspen Global Change Institute and Aspen Center for Environmental Studies, there are now 23 fewer days of freezing temperatures than in the 1970s. The winter sports season is getting shorter and pond hockey is at risk! Saving pond hockey is a metaphor for the bigger picture. The science of global warming was explained as far back as 1988 in a special National Geographic Magazine report entitled “Endangered Earth.” True to predictions, 15 of the 16 warmest years on record have occurred since 2001, according to NASA. Since the industrial revolution, carbon dioxide emissions have increased from 280 parts per million to 400 ppm. Burning fossil fuels increases CO2 and other greenhouse gases, which trap heat in the atmosphere and raise the global temperature. Cutting greenhouse gas emissions is the most direct solution to prevent the continued warming of the planet. At the 2015 Paris Climate Talks, the collective impact of actions taken by local governments, businesses and individuals was emphasized as a key strategy. 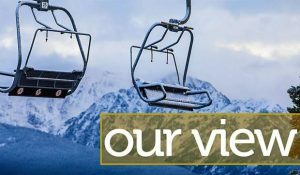 Throughout the past year, 30 local stakeholders including municipalities, Eagle County Schools, Vail Valley Medical Center, Colorado Mountain College, Vail Resorts and others have been meeting in an effort to produce The Climate Action Plan for the Eagle County Community, available at http://www.walkingmountains.org/cap. Now, organizations throughout the county are being asked to discuss, adopt and take action to reach the plan’s long-term goal of an 80 percent reduction in greenhouse gas emissions by 2050. So far, Eagle County Government, the Western Eagle County Metropolitan Recreation District and the towns of Avon and Vail have adopted the plan. According to the plan, the size of our local greenhouse gas emissions footprint is 1.4 million metric tons annually. This comes from the major sources of leaky buildings (60 percent), motorized vehicles (27 percent), landfill gas releases (10 percent) and airline fuel (3 percent). Our community spends about $243 million each year on energy, approximately $1,300 more per person than the national average. The plan outlines strategies for reducing emissions countywide. This year, teams of local experts will work to improve the energy efficiency of residential and commercial buildings, increase public transit and bikable/walkable communities, add infrastructure for electric vehicle charging and tackle waste diversion from the Eagle County Landfill. Another key strategy will be to increase renewable energy sources available to our local power supply. Our community’s current electricity profile is 62 percent coal, 6 percent natural gas and 30 percent renewable energy and coal mine methane capture. There is a giant win-win opportunity here as energy efficiency measures save dollars on electricity costs. Eagle County’s recent solar farm purchases both offset electricity use in county buildings and save $290,000 annually. This is the equivalent of taking 377 cars off the road or 263 homes off the grid. Simply put, economics have started to favor cleaner fuels and technologies — solar and wind now outcompete coal, and many investments in energy efficiency return over 30 percent per year. Opportunities exist for everyone to make reductions in pollution. For example, households can receive a home energy audit through Walking Mountain’s Energy Smart Program, which also provides rebates for energy efficiency improvements. Most homeowners will see a significant reduction in their home electricity energy bill. With federal climate policy now in question, gaining momentum at the state and local level will be even more important. Pond hockey may become one of those things only the old-timers talk about. In the meantime, however, the ice at Eagle Town Park should be solid until February, and the recent pond hockey tournament was a huge success. Let’s all work together to keep it that way. 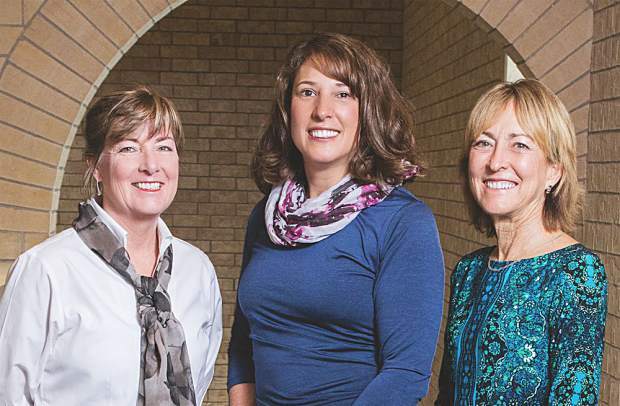 The Eagle County Board of Commissioners is Jeanne McQueeney, Kathy Chandler-Henry and Jill Ryan.